Relaxation therapy is a broad term used to describe a number of techniques that promote stress reduction, the elimination of tension throughout the body, and a calm and peaceful state of mind. 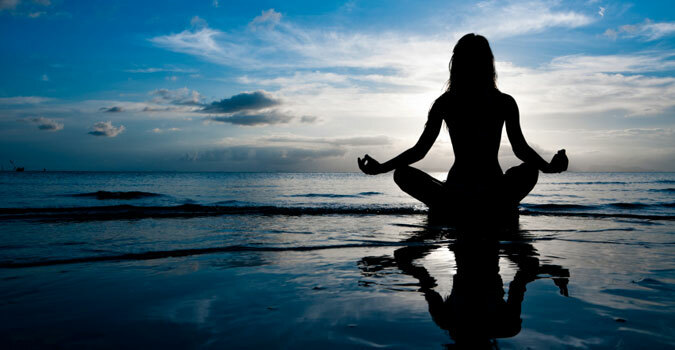 Relaxation therapy has been around for thousands of years in the forms of transcendental meditation (TM), yoga, t'ai chi, qigong, and vipassana (a Buddhist form of meditation meaning insight and also known as mindfulness meditation). Progressive relaxation, a treatment that rids the body of anxiety and related tension through progressive relaxation of the muscle groups, was first described by Dr. Edmund Jacobson in his book Progressive Relaxation, published in 1929. And in 1975, Dr. Herbert Benson published his groundbreaking work The Relaxation Response, which described in detail the stress-reduction mechanism in the body that short-circuits the “fight-or-flight” response and lowers blood pressure, relieves muscle tension, and controls heart rate. Stress and tension have been linked to numerous ailments, including heart disease, high blood pressure, atherosclerosis, irritable bowel syndrome, ulcers, anxiety disorders, insomnia, and substance abuse. Stress can also trigger a number of distinct physical symptoms, including nausea, headache, hair loss, fatigue, and muscle pain. Relaxation therapies have been shown to reduce the incidence and severity of stress-related diseases and disorders in many patients. There are a number of different relaxation methods available. Some of the most widely taught and practiced by healthcare providers include progressive relaxation, cue-controlled relaxation, breathing exercises, guided imagery, and biofeedback. thighs, buttocks, legs, and feet. The patient lays or sits in a comfortable position, and then starts with the first muscle group, focusing on the feeling of the muscles and the absence or presence of tension. The patient then tenses the first muscle in the group, holds the tension for approximately five seconds, and releases and relaxes for up to 30 seconds. The contrast allows the individual to notice difference between feelings of tension and feelings of relaxation. The procedure is repeated with the next muscle in the group, and so on, until the first group is completed. The patient then starts on the next muscle group. Progressive relaxation can be guided with verbal cues and scripts, either memorized by the patient or provided on instructional audiotapes. The procedure remains the same, but the individual is prompted on which muscles to flex and relax and given other cues about noticing the difference between the tense and relaxed state. Some individuals may prefer progressive relaxation that is prompted with a tape, because it allows them to completely clear their minds and to just follow the given instructions. Individuals under stress often experience fast, shallow breathing. This type of breathing, known as chest breathing, can lead to shortness of breath, increased muscle tension, and inadequate oxygenation of blood. Breathing exercises can both improve respiratory function and relieve stress and tension. Before starting to learn breathing exercises, individuals should first become aware of their breathing patterns. This can be accomplished by placing one hand on the chest and one hand on the abdomen, and observing which hand moves farther during breathing. If it is the hand placed on the chest, then chest breathing is occurring and breathing exercises may be beneficial. Deep breathing exercises are best performed while laying flat on the back, usually on the floor with a mat. The knees are bent, and the body (particularly the mouth, nose, and face) is relaxed. Again, one hand should be placed on the chest and one on the abdomen to monitor breathing technique. The individual takes a series of long, deep breaths through the nose, attempting to raise the abdomen instead of the chest. Air is exhaled through the relaxed mouth. Deep breathing can be continued for up to 20 minutes. After the exercise is complete, the individual checks again for body tension and relaxation. Once deep breathing techniques have been mastered, an individual can use deep breathing at any time or place as a quick method of relieving tension. Like progressive relaxation, release-only relaxation focuses on relieving feelings of tension in the muscles. However, it eliminates the initial use of muscle tensing as practiced in progressive relaxation, focusing instead solely on muscle relaxation. Release-only relaxation is usually recommended as the next step in relaxation therapy after progressive relaxation has been mastered. In release-only relaxation, breathing is used as a relaxation tool. The individual sits in a comfortable chair and begins to focus on his breathing, envisioning tension leaving the body with each exhale. Once even, deep, abdominal breathing is established, the individual begins to focus on releasing tension in each muscle group, until the entire body is completely relaxed. Cue-controlled relaxation is an abbreviated tension relief technique that combines elements of release-only relaxation and deep breathing exercises. It uses a cue, such as a word or mental image, to trigger immediate feelings of muscle relaxation. The cue must first be associated with relaxation in the individual’s mind. This is accomplished by choosing the cue, and then using it in breathing and release-only relaxation exercises repeatedly until the cue starts to automatically trigger feelings of relaxation outside of the treatment sessions. Cues can be as simple as the word “relax,” and are frequently used on relaxation audiotapes. They can also be a visual cue, such as a mental image of a white sand Caribbean beach, a flower-filled meadow, or other relaxing images. Guided imagery also uses such visualization exercises to produce feelings of relaxation. Guided imagery is a two-part process. The first component involves reaching a state of deep relaxation through breathing and muscle relaxation techniques. During the relaxation phase, the person closes his eyes and focuses on the slow, in and out of his breathing. Or, he might focus on releasing the feelings of tension from his muscles, starting with the toes and working up to the top of the head. Relaxation tapes often feature soft music or tranquil, natural sounds such as rolling waves and chirping birds in order to promote feelings of relaxation. Once complete relaxation is achieved, the second component of the exercise is the imagery, or visualization, itself. Relaxation imagery involves conjuring up pleasant, relaxing images that rest the mind and body. These may be experiences that have already happened, or new situations. The individual may also use mental rehearsal. Mental rehearsal involves imagining a situation or scenario and its ideal outcome. It can be used to reduce anxiety about an upcoming situation, such as childbirth, surgery, or even a critical event such as an important competition or a job interview. Individuals imagine themselves going through each step of the anxiety-producing event and then successfully completing it. Biofeedback, or applied psychophysiological feedback, is a patient-guided treatment that teaches an individual to manipulate muscle tension through relaxation, visualization, and other cognitive techniques. The name biofeedback refers to the biological signals that are fed back, or returned, to the patient in order for the patient to develop techniques of controlling them. During biofeedback, one or more special sensors are placed on the body. These sensors measure muscle tension, brain waves, heart rate, body temperature, and translate the information into a visual and/or audible readout, such as a paper tracing, a light display, or a series of beeps. While the patient views the instantaneous feedback from the biofeedback monitors, he begins to recognize what thoughts, fears, and mental images influence his physical reactions. By monitoring this relationship between mind and body, he can then use thoughts and mental images deliberately to manipulate heart beat, brain wave patterns, body temperature, and other bodily functions, and to reduce feelings of stress. This is achieved through relaxation exercises, mental imagery, and other cognitive therapy techniques. As the biofeedback response takes place, the patient can actually see or hear the results of his efforts instantly through the sensor readout on the biofeedback equipment. Once these techniques are learned and the patient is able to recognize the state of relaxation or visualization necessary to alleviate symptoms, the biofeedback equipment itself is no longer needed. The patient then has a powerful, portable, and self-administered treatment tool to deal with problem symptoms. There are dozens of other effective therapies that promote relaxation, including hypnosis, meditation, yoga, aromatherapy, hydrotherapy, t’ai chi, massage, art therapy, and others. Individuals should choose a type of relaxation therapy based on their own unique interests and lifestyle requirements. If an individual is considering relaxation therapy to alleviate physical symptoms such as nausea, headache, high blood pressure, fatigue, or gastrointestinal problems, he or she should consult a doctor first to make sure there isn’t an underlying disorder or disease causing the symptoms. A complete physical examination and comprehensive medical history will be performed, and even if an organic cause for the symptoms is found, relaxation exercises may still be recommended as an adjunct, or complementary, treatment to relieve discomfort. Relaxation therapy should always take place in a quiet, relaxing atmosphere where there is a comfortable place to sit or recline. Some people find that quiet background music improves their relaxation sessions. If an instructional audiotape or videotape is to be used, the appropriate equipment should be available. The relaxation session, which can last anywhere from a few minutes to an hour, should be uninterrupted. Taking the phone off the hook and asking family members for solitude can ensure a more successful and relaxing session. Most commonly practiced relaxation techniques are completely safe and free of side effects. Relaxation techniques that involve special exercises or body manipulation such as massage, t’ai chi, and yoga should be taught or performed by a qualified health care professional or instructor. These treatments may not be suitable for individuals with certain health conditions such as arthritis or fibromyalgia. These individuals should consult with their health care professionals before engaging in these therapies. Biofeedback may be contraindicated (not recommended) in some individuals who use a pacemaker or other implantable electrical devices. These individuals should inform their biofeedback therapist before starting treatments, as certain types of biofeedback sensors have the potential to interfere with their use. Relaxation therapy may not be suitable for some patients. Patients must be willing to take a very active role in the treatment process, and to practice techniques learned in treatment at home. Some relaxation therapies may also be inappropriate for cognitively impaired individuals (e.g., patients with organic brain disease or a traumatic brain injury) depending on their level of functioning. Given the wide range of relaxation therapies available, if one type of relaxation treatment is deemed inappropriate for these patients, a suitable alternative can usually be recommended by a qualified healthcare professional. 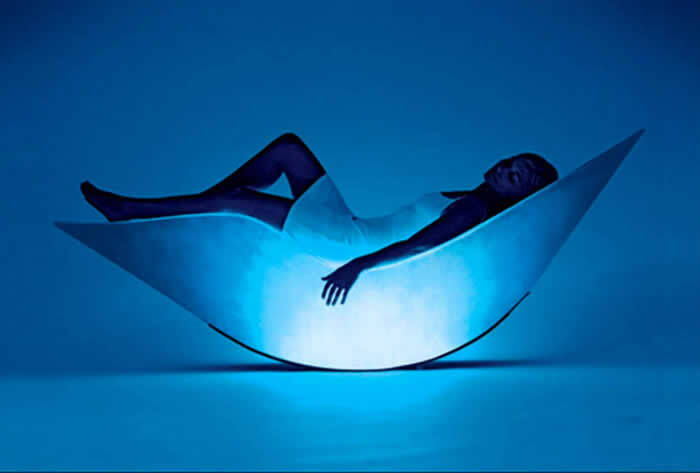 Relaxation therapy can induce sleepiness, and some individuals may fall asleep during a session. Relaxation therapy should not be performed while operating a motor vehicle or in other situations where full and alert attention is necessary. Other than this, there are no known adverse side effects to relaxation therapy. Relaxation therapies have been successfully used in relieving stress and anxiety for many years, and are generally well-accepted by the medical community for this purpose. Recent research published in 1999 has also indicated that relaxation therapy may be useful in reducing the incidence of preterm labor in women at risk for delivering prematurely. The study also found that women who discontinued relaxation exercises for whatever reasons delivered earlier and had lower birth weight babies than those who continued the treatment.